•	Special savings opportunities are going to be shared directly on the Your Home Suite website. These promotions are going to be refreshed routinely but on a prize basis, so take advantage of deals as they become available. •	The email newsletter program that is run by the Your Home Suite company has always been a source of great deals and offers for those that take advantage of it. By signing up for this free program, customers will save using the exclusive coupon codes and offers published by the company through this email set up. •	Select offers and special savings will be published only on the social media accounts maintained by Your Home Suite. HomeSuite offers on demand home leasing services. When customers simply enter the desired location, date and number of bedrooms, they can find available leases in a number of major cities. Customers can search for residences in Palo Alto, New York City, San Jose, Boston, and other major cities in the United States. This service has been covered in well known media and press outlets as well. Short-term, furnished housing has never been more feasible with this seamless service. Customers can also refer both friends and landlords alike. This company offers resources to landlords who want to lease their properties to corporate tenants. 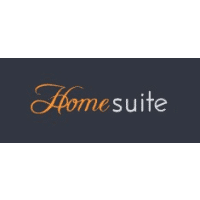 For most up to date offers check out Homesuite on Facebook and Twitter or contact Homesuite Support for any questions.